Rastel's twin brother. 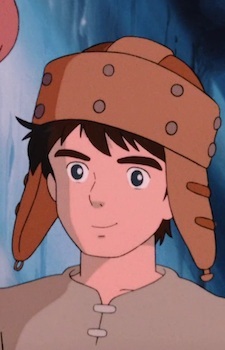 He is the sole survivor of Pejite, and deeply hates Kushana and Torumekians. He is a very good pilot, mechanic, and swordsman. He was rescued by Nausicaä at the bottom of the Sea of Corruption, and witnessed the secret of the Sea of Corruption with Nausicaä. He sometimes accompanies Nausicaä, and sometimes travels alone or with others.